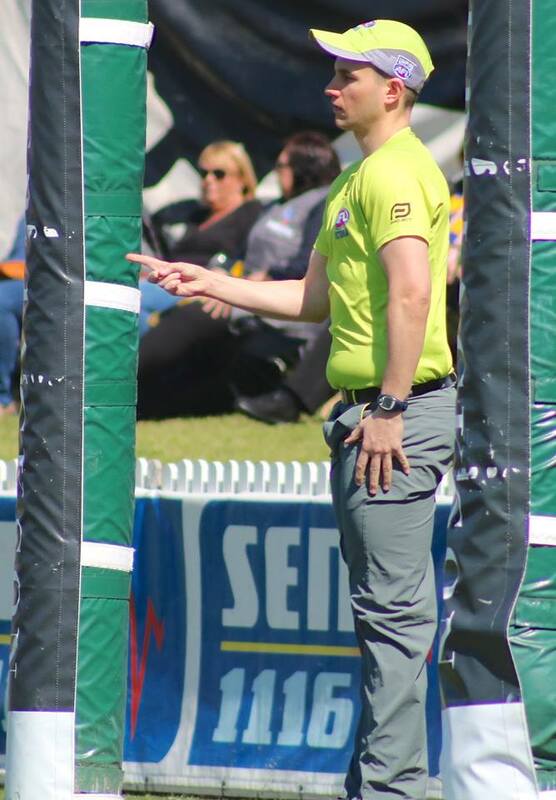 In a year of multiple milestones for VFUA members, another one was achieved on Saturday night when senior goal umpire, Callum Leonard, brang up the ton when he officiated the Geelong v Essendon clash at GMHBA Stadium. 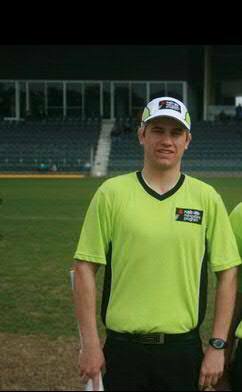 Starting with the VFL in 2011 out of the Ballarat Umpires Association, Callum worked incredibly hard to get where he is today. When Cal started down at the VFL, he had serious issues with his weight and fitness. Whilst the on field ability was definitely prevalent, without attention being paid to these issues, Cal’s career could’ve ended before it began. However, with a lot of effort and hard work (and little fanfare), Cal has worked extremely hard to get himself fit and to be a positive example for younger umpires. Callum has had his share of success over the journey after doing his 1st senior game, North Ballarat v Casey Scorpions in 2013. He has been involved in senior finals in both 2015 and 2017, and it was in these two seasons that he was appointed to the AFL Vic Development League Grand Final. When pressed on the most memorable moment of his career, Cal explained that the Grand Finals would definitely be. “Yeah, those Grand Finals would definitely have to be the top moments of my career. Especially the 2015 one as it went it to Golden Point, and with it being my 1st State League Grand Final, it was a great experience.” Cal was also appointed as the emergency to the AFLW decider this year which was also another feather in the cap for the big chested individual from Ballarat. Congratulations on getting to this milestone Callum. A great achievement and hopefully a portent of future success to come in your career!